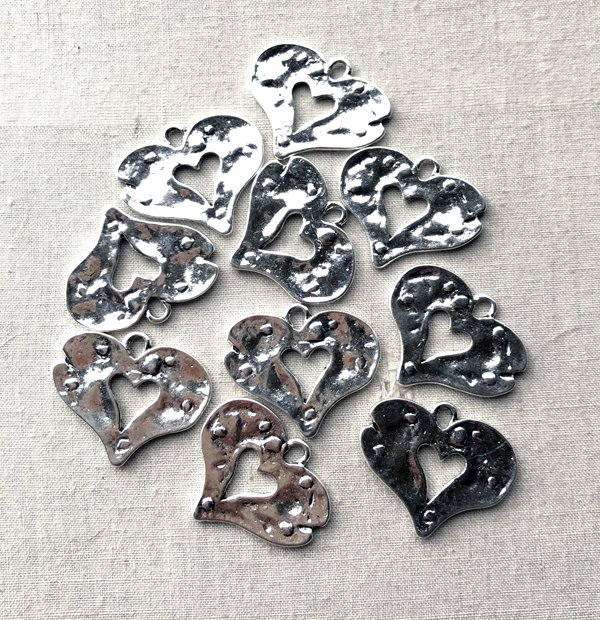 Aren't these heart charms darling? Use them in charm bracelets, earrings and more! Sold in packages of 2 for $1.00, or packages of 10 for $5.00. Please select your Quantity Type in the drop down box below.